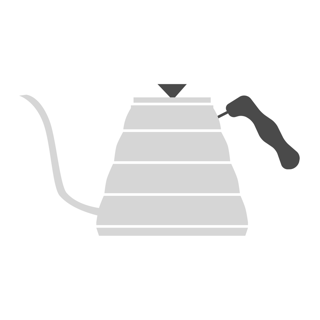 With step by step instructions, you'll be guided to making perfect coffee every time. Within the recipe, once you enter the grams of coffee you'd like to brew, the instructions update to show you the appropriate amount of water to achieve an exact coffee to water ratio. In addition, timers are included in every brew method's instructions to help you get the perfect bloom and pour. After each brew, you can rate your brew and write notes about it. These brews are saved in a logbook for future review so you can remember what you did well. When brewing with Single Origin, you'll also earn achievements as you brew. Get brewing and collect them all! I just got into the pour over method and I found this to be great app to help me with ratios, grind size and of course the timer is so helpful. My favorite feature is that fact it shows you the ideal amount of water you should be pouring while the timer counts down. Incredibly helpful as a beginner to pay attention to how fast I am pouring water over the grounds. Of course I love the rating and notes section for each brew. A great way to find out what works and what doesn’t. This app is the best one I’ve used. Others show you the basics but leave a lot of guesswork. This app walks you through every step. I love that the timer shows where I should be at on my water pour while using a Chemex. The best feature is being able to make notes at the end of each brew. No more forgetting which grinder settings did or didn’t work! I’ve had a Chemex for a while now but hadn’t used it much, and other timer apps didn’t make it any easier. This one is great! It walks me through the water pouring process with the perfect amount of detail and my coffee is turning out much better. Looking forward to using the more advanced settings for water temp to perfect my brewing skills.